Trinity Furniture is committed to incorporating environmental sustainability in all our business practices and manufacturing processes. 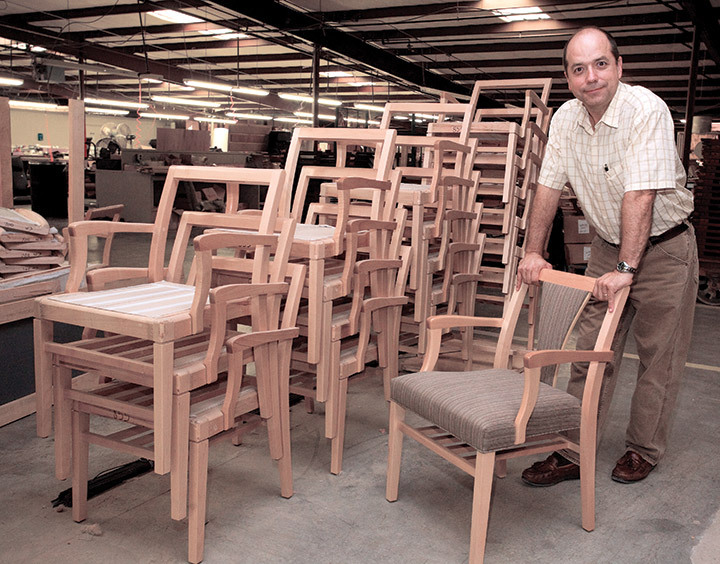 We feel it is important to provide well-designed furniture in the most environmentally responsible way possible. Trinity Furniture continues to strive for better ways to reduce our environmental footprint through achieving initiatives in FSC and BIFMA Level Certified 3E Program. We will continue to find ways to improve our environmental impact, as we realize how important it is to leave the planet as we found it for future generations. As it often happens down South, a casual chat between neighbors in a porch swing grew into a simple plan to build a brighter future for their families. Jorge Lagueruela and John Kennedy shook hands that day, anteed up venture capital of $1000 and the two friends formed Trinity Furniture in March 1984. Preaching a commitment to build quality products at a good value with a high level of customer service, Jorge and John quickly established Trinity as a resource for private label manufacturing, serving such clients as Saks 5th Avenue and Bloomingdale's. Eager to broaden their focus, they sought and were awarded a GSA federal seating contract in August of 1985. Buoyed by a growing and stable customer base, in June of 1986, the fledgling business finished construction on a modest 14,400 sq.ft. building in their namesake town of Trinity, North Carolina. 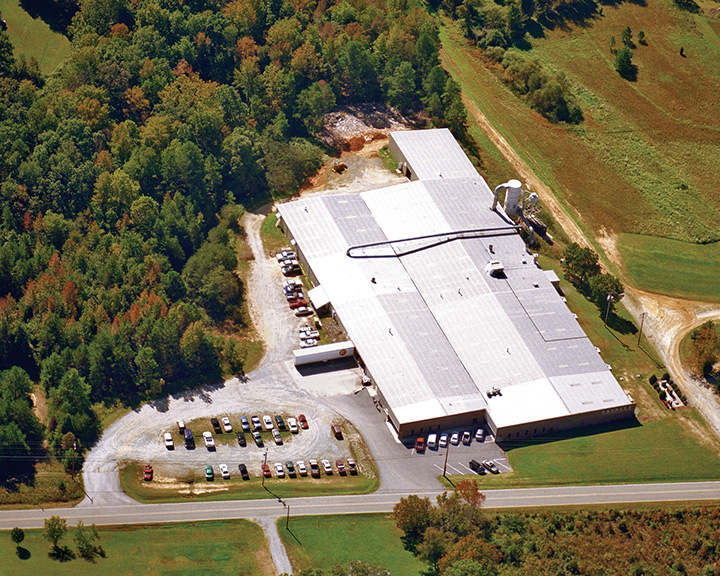 With its location between High Point and Thomasville, North Carolina, everything related to furniture manufacturing was within easy access. NeoCon 1998 marked the international debut of Trinity's furniture collections for distribution to the commercial furniture industry. Of particular pride was that all products were designed, engineered, tested and manufactured in America in their growing state of the art facility. Upon John Kennedy's retirement in 2002, Jorge Lagueruela became sole owner of a business growing at a rapid pace. 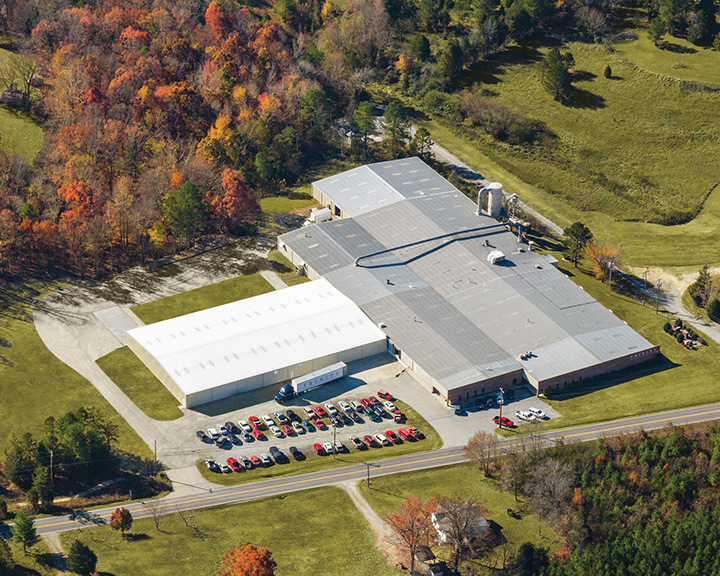 To keep up, the facility grew to over 100,000 sq.ft of integrated furniture manufacturing space; incorporating prototype / engineering, woodworking, upholstery and finishing departments. Capability of cyclic testing of all frames in the on-site testing lab has given Trinity complete confidence in the performance of their products. Utilizing the latest equipment in furniture design and manufacturing (from CNC routers to electronic sewing machines), coupled with skilled craftsmen, has ensured consistent, durable products and quality construction. Even with a breadth of products for healthcare applications, universities and schools, corporate, judicial and public spaces, Trinity understands that customer furniture requirements can be very specific. So in keeping with their humble beginnings, every effort is made to provide custom solutions. Fast forward to April, 2011, when during another casual chat, now between father and daughter, a decision was made for Megan Lagueruela to join the firm. Trinity Furniture's future is indeed bright, as it now involves two generations of Lagueruelas sharing a steadfast commitment to produce quality products at a good value with a high level of customer service.